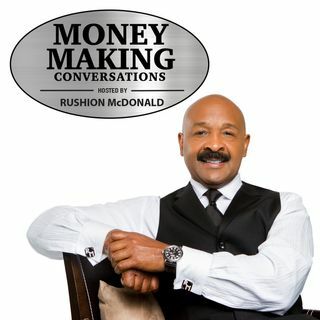 Appearing on this episode of Money Making Conversations is Dianna Williams, Founder of Dollhouse Studios, Author & Star of the hit Lifetime show "Bring It!" talking about Dollhouse Studios, her life in dance & new book "Standing in the Shade"; Charles Stamps, Founder of the MLK Parade Foundation out of Houston, Texas; Latorra Garland owner & chef of Pie Face Catering talks entrepreneurship & how she started Pie Face! ; celebrity chef & Food Network star ... See More & the host of "New Soul Kitchen" on Cleo TV Chef Jernard Wells; and life coach Sarita Pittman, founder of Atiras International Coaching.